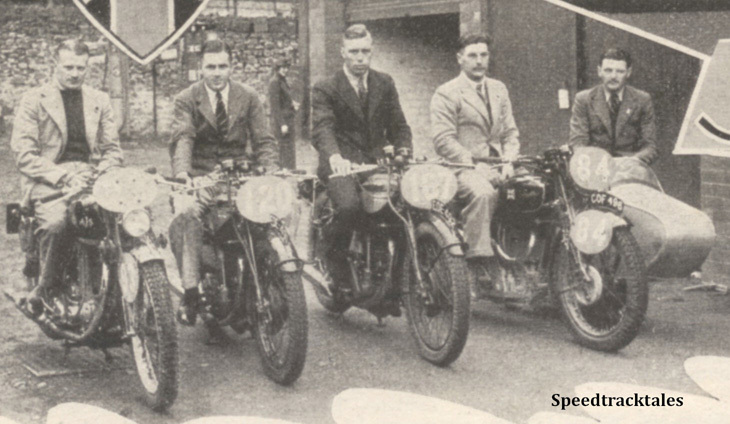 The Speedtracktales team has now acquired an original copy of ‘the Motor Cycle‘ report on the ISDT 1938 report. 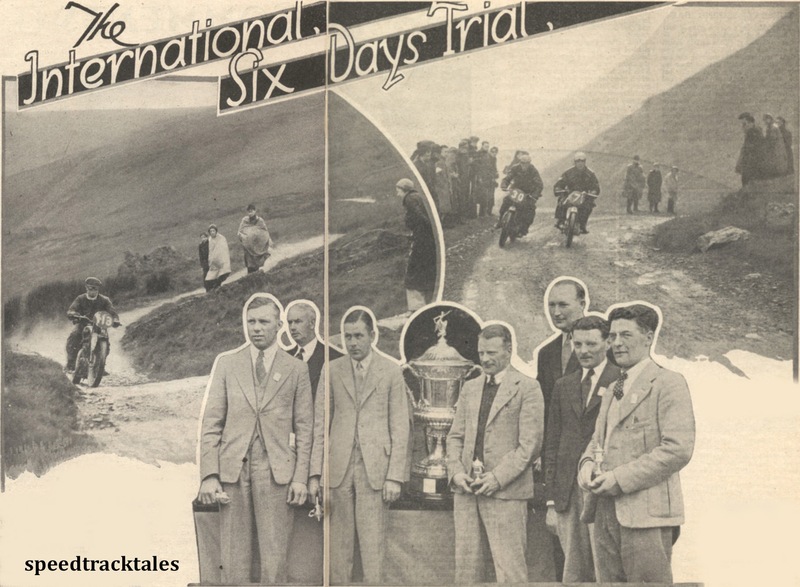 The following blog is in two parts featuring two articles, one the editorial and the other jottings and commentary from the Motor Cycling journalist ‘Cyclops’ that appeared in the 13th July 1938 issue of ‘Motor Cycling‘ which covered the initial few days of the ISDT 1938 held in Llandrindod Wells which was the 20th edition of the event. 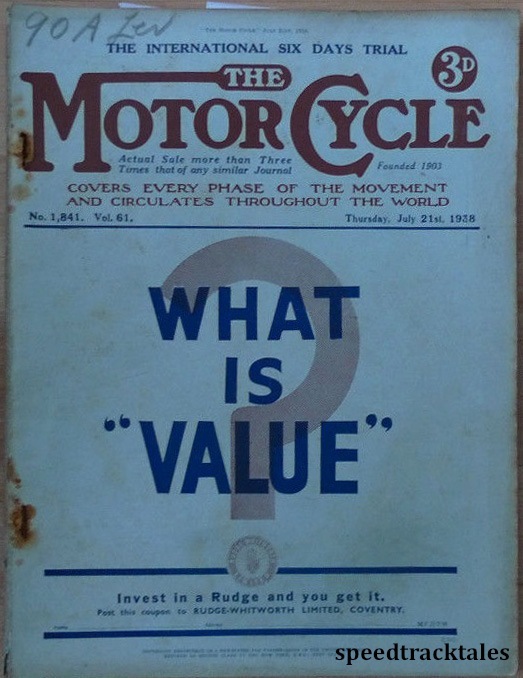 The initial article discusses the strategy of the British and German entries in the wildly different choice of bikes for the event, the benefits and disadvantages and ends reming the reader of the importance of winning the event for the British home motorcycle industry in supporting its export market. 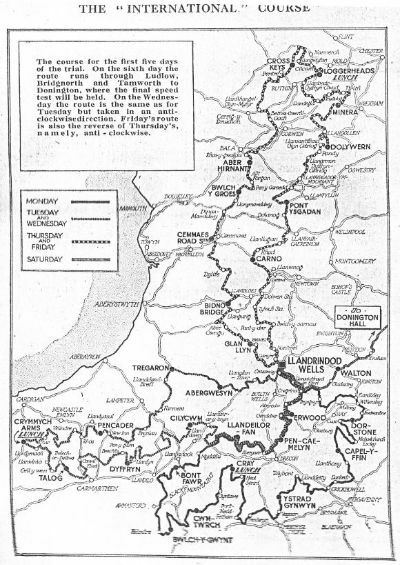 Below are a collection of images taken of the route and hopefully more can be added as the route is revisited by those interested with the history of the ISDT. 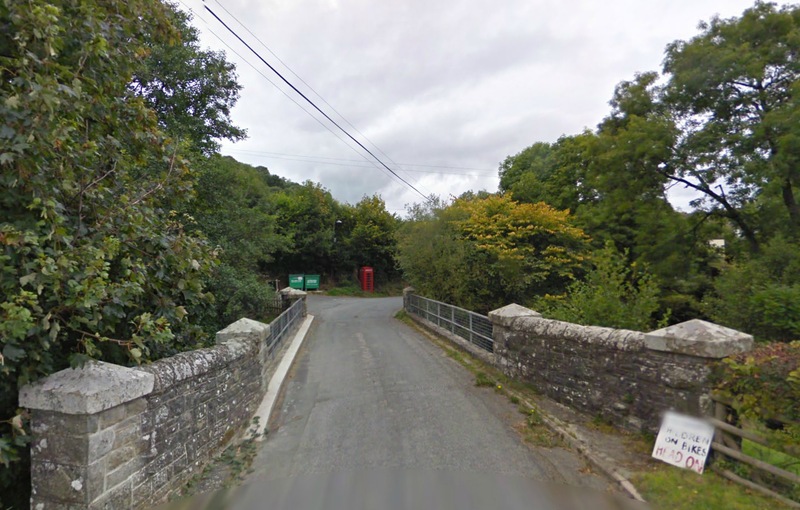 After the start in Llandrindod Wells at 6.00am there was an introductory check at 1 ½ miles (2.5km) at 7 ¼ miles (11.7km) the riders crossed the river bridge at Cregrina. I can recall whilst out trail riding in the Clwydian Hills in my teens during the late 70’s when one of the old blokes pointed into a hedge (they said it was a track, but you could not get into it to stand and look.. it was a hedge) and that once the ISDT had gone up there…. I knew the event and it filled my head with images of far off exotic trails in wild forests. I had never even heard of the ISDT in Wales although I knew that once the Tour of Wales Enduro had come these ways it had not done so for years, the only active local off road competition were the Scrambles at Bodfari, the Fosters Cup an observed trial run by the South Liverpool Club and local observed trials organised by the Denbigh and Mold MCC. Even so that story stuck in my head and everytime i drive past this hedge I think the ISDT went there once. 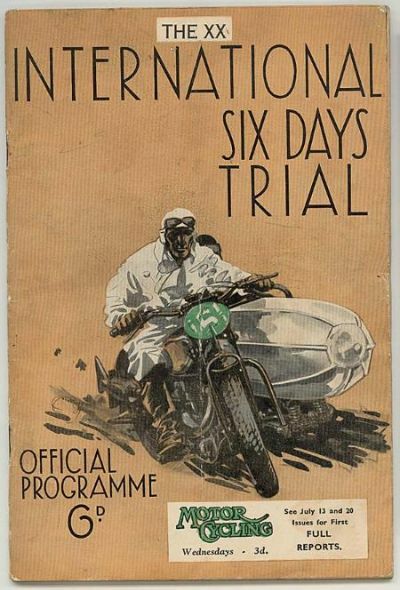 You can read the entire programme cover to cover here.